Where to start with a Paris round up? I guess with the expectations. 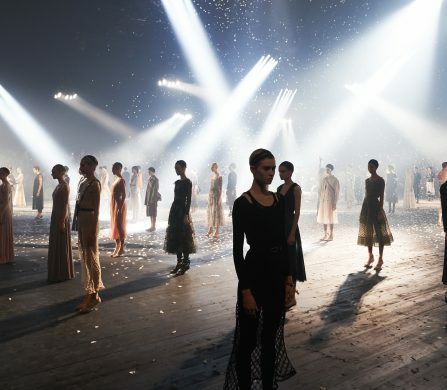 New designers at Valentino , well at least solo for Pierpaolo Piccioli, Maria Grazia Chiuri at Christian Dior, Anthony Vaccerello at Saint Laurent and Bouchra Jarrar at Lanvin. Plus of course the excitement of Jacquemus, Y/Project, and countless new labels. So, what of the debutants? To say the debuts were anticlimactic would be an understatement, and to mention the general lack of excitement amongst much of the expected highlights, would be obvious already to anyone who has read the avalanche of daily comments on social media, plus instant internet reviews. 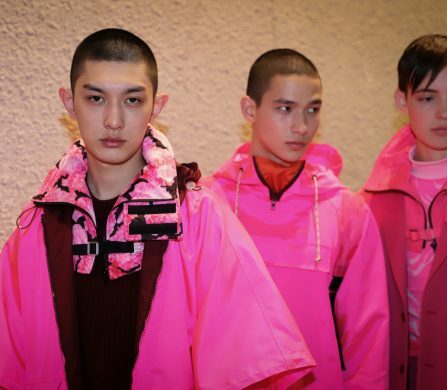 All the new designers did their jobs well and professionally, but in the current fashion “climate”, as in weather conditions, it is extremely difficult to be adventurous, and experimental. So much hangs on the selling of the brand, the label, the fragrance, and the house image that the designer is but a member of the team, no longer necessarily its leader. The abrupt departure of Peter Dundas at Roberto Cavalli after a strong, exciting collection, seemingly perfectly pitched for the house style by an extremely experienced designer, demonstrates the insecurity any of these new appointments must be feeling. So in a sense, these first collections were not the main talking points of the season. However, in spite of all this the truly exciting fashion news from Paris was even more shocking than predicted; the return of real clothes. The press like a mood, a theme, a story, hence they always loved John Galliano who handed them less of a seasonal story and more of a novella. Strange then that Bill Gayton, the designer at John Galliano, served up a collection which actually showed dresses and separates as essentially the distillation of what we loved about Galliano. The tea dresses especially were tremendous, perfectly cut and constructed, fluttering and flattering. Colour had been drained, faded and sun bleached from much of the collection with watery blues and silvery faille and lame. Combining bleu blanc rouge, paisley and filigree decoration reads as confused on paper, yet the Napoleonic thread running through the Moncler Gamme Rouge Show held all these thoughts together beautifully. The Emperor himself bought back paisley to his Josephine, who in turn wore white on white muslin embroideries which linked the romantic element of the collection. Bonaparte’s severe personal style in battle showed up in the elegantly strict lines of much of the collection. 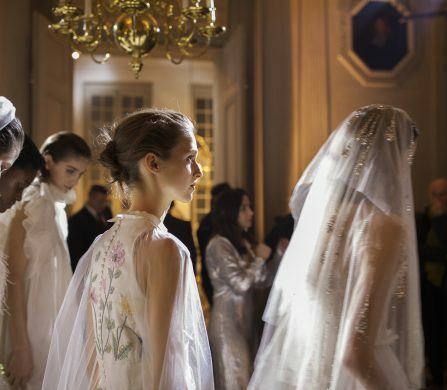 Medal ribbons and Napoleonic bees plus heritage prints completed a show created with an assured hand by Giambattista Valli. Vive L’Empereur, Vive la France! Bouchra Jarrar debuted at Lanvin also with pyjamas amongst her collection. She paid little attention to her predecessor and attacked the question of what real women might buy from Lanvin, along with the idea as to what Madame Lanvin might be designing for her clients today. How to be modern without appearing ridiculous is a fashion challenge and on this first pairing of designer and house it looked possible. Perfectly poised from relaxed yet urban looks in monochrome through late day in blue violet and through to over blown blooms and finally into glitter this was classic yet new, and focussed primarily on the clothes. Shocking. Alexis Mabille loves summer, loves colour , loves movement and loves women. Put all this together and you watch a catwalk show of up tempo pieces which scream “buy me” at the women in the audience, some will buy a flirty blouse to wear with jeans, some will buy a covered up swingy dress, but he knows how to appeal to a broad range of tastes, ages and figures, as do all the winners this season. Lutz Huelle totally understands how to move his signature on each season, how to create desirable clothes and how to present them. The speed and impact of his collection was immense as each outfit swept past the feeling of the power of the wearer and the clear strong statement about fashion. A denim and black lace coatdress over bright azure blue trousers or a slashed deep violet dress over black lace trousers, demonstrated a perfect understanding of proportion and design. Guy Laroche designer Adam Andrascik mixed things up a little too much with some of the synthetic/plastic/techno fabrics but at the heart of the collection was some great pieces; neutral gabardine for a trench, great pants, and flippy little skirt and cropped jacket, and relaxed white pieces also looked great. Gauchere make lovely clothes, well presented to a small audience of lovely people, who understand and admire the job Marie-Christine Statz, the designer, does. Brights and metallic shine, sportier styles and fluidity, graphic prints and easy shapes, alongside soft tailoring created a mix and match vibe. Haider Ackermann knows how to present a show and equally how to create clothes that work in real life. This was full of brilliant colour; tangerine, fuchsia, lime and rose pink, but balanced by enough black and white to offer client options. The silhouettes also balanced construction against slouchy seductiveness.Terrific impact on the catwalk, eminently wearable when delivered in store. Jourden designer Anais Mak makes beautiful clothes with a hint of retro but in up to the minute fabrics and fabric combinations. The volume and spring of the silhouettes hints at the 1950s but is again totally modern in its realization. Martin Grant continues to offer quietly lovely fashion in beautiful fabrics, cut and constructed to the highest possible standards, yet without ever shouting about his talent, season after season. Valentin Yudashkin presented a collection whose heart was is couture but created for ready to wear customers. The all white and silver opening pieces were like a Grace Kelly wardrobe imagined for today, the glamour was held in tight reign until an explosion of silver both in crystal embroidery and silver screen lame, but for me the stand out dress was a wisp of navy tulle twisted and draped into a floor length shirt dress. Magical. Multicultural artists still offer amazing ideas and pieces to add into your wardrobe alongside the simpler clothes, hailing from Colombia, India, Japan and the Lebanon they bring not just a different perspective but also spice and zest to clothes. Manish Arora decorated everything to within an inch of its rainbow coloured life and then added a bit more; Rahul Mishra led us through enchanted avenues of flora and fauna and slipped simple gingham in there to contrast against the exquisite complexity of the embroidery and handwork. When designer Estaban Cortazar ran out for his bow it expressed the youthful and optimistic view of this creative collection. Sinuous curves, lines which sliced across the figure and colour and pattern which nodded at modern art combined to create a strong collection. Hints of the late great Geoffrey Beene showed him to be a designer with a strong understanding of his craft. Shiatzy Chen referenced Chinese robes and dresses quite exquisitely and shifted the slim historical silhouette to a more fluid one, yet still with traditional details. For Issey Miyake, Yoshiyuki Miyamae, designer since 2012, stunned us with wonderful music and amazing clothes where many new ideas, patterns and shapes raced across the vast space, often crossing and re crossing in their themes and at times in twin pairs. It lifted everyone’s spirits and proved a designer can develop from a strong creative heart beat without killing the original. 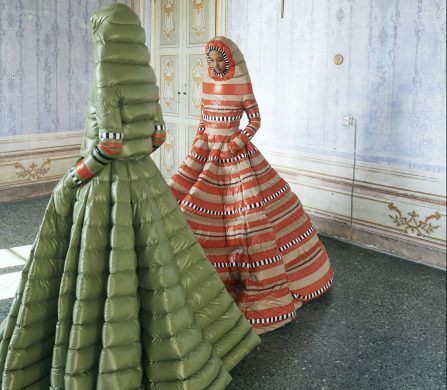 Finally, as the Metropolitan Museum in New York proposed to honouronly the second living designer in its history (Yves Saint Laurent was the first,) Rei Kawakubo at Comme des Garçons showed another extraordinarily amazing peculiar collection of imaginative, difficult and wild clothes. The truth is that when delivered into the store there are a great many more pieces and the catwalk presentation is the distillation of each seasons message undiluted. Paris; it never ceases to surprise us, thankfully.